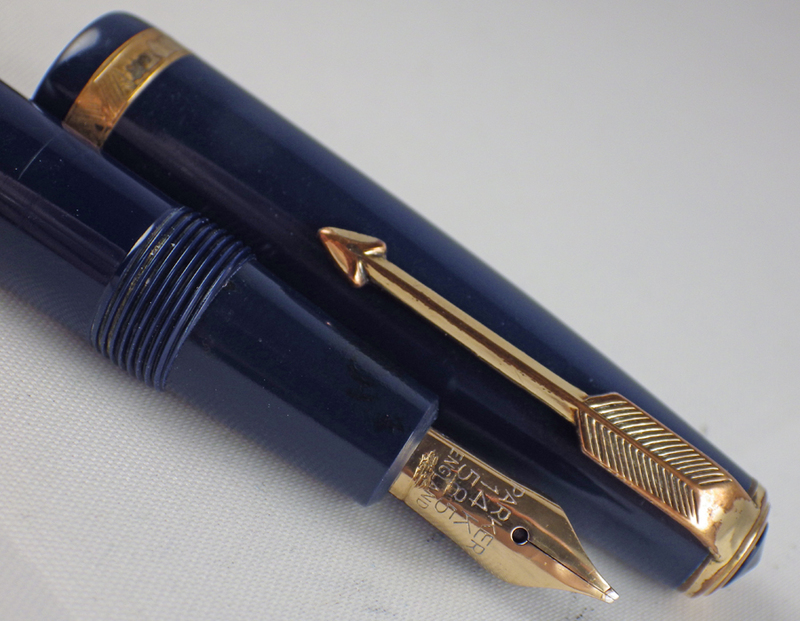 This deep blue English Parker Duofold measures 13 cm capped. 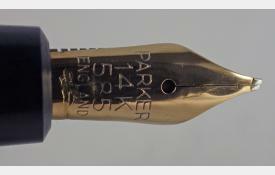 There is some wear to the plating on the cap ring and clip. 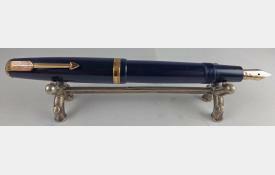 The pen closes firmly with a single turn. 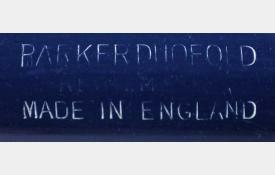 The barrel imprint is worn but legible. 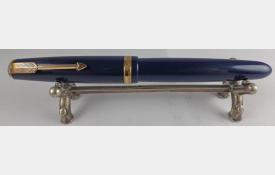 There are no cracks, major scratches or bite marks. 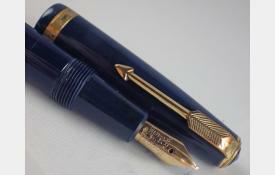 The aerometric filling system has been restored and the pen fills and writes well (see writing sample). 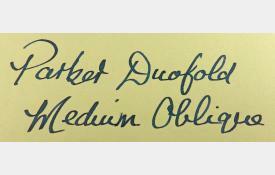 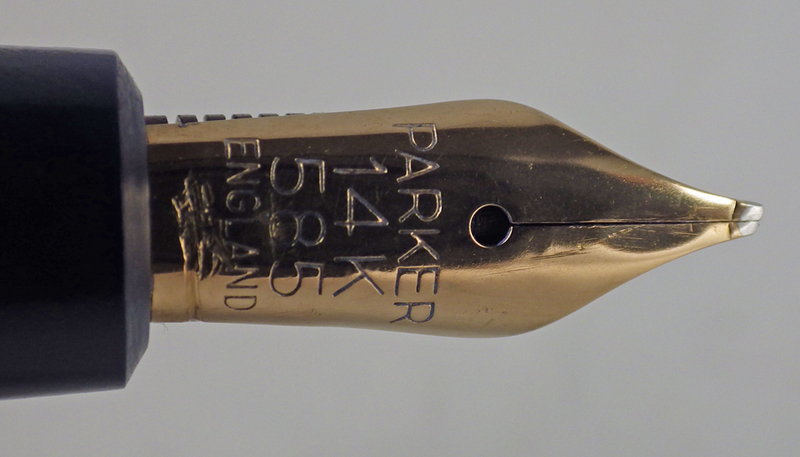 The glory of this pen is its 14 carat gold Parker nib which is a medium oblique.